If you are attached to this pre engineering applicants category then you can make your submission in this MUET test. For all pre engineering students, it is must and this is an important condition for them that 60% marks have to be successfully scored by them. This university does not consider this point that on what scheme and policy you are applying. Even if you have submitted the form on the self finance scheme and policy, then same marks and same percentage have to be received by the applicant. For this category of students who are attached to general science subject background, they can also apply in MUET ECAT test and specific engineering programs are made for them. Same percentage requirement is made and set for general science background applicants and they can submit the form in computer systems engineering program, software engineering program, electronic engineering program, telecommunication engineering program after passing ECAT test. Those set of applicants who have got passing 60% marks in their diploma of associate engineering program, diploma in chemical engineering program, diploma in ceramics technology, diploma in glass technology, diploma in chemical technology- all these students can well apply for MUET entry test. 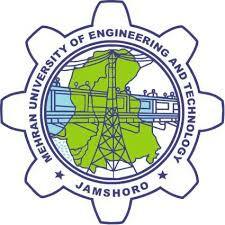 When Schedule of Mehran University Jamshoro ECAT Entry Test 2018 will Come? We will update and inform you that when schedule of Muet Jamshoro ECAT entry test will be announced. Students can start preparing for this respective test. When the application form phase will be opened, then after submission of your necessary documents, they will be scrutinized and all of the eligible candidates and students will be given admissions slips so that they can sit for pre-admission test. You have to fill up your prescribed application form with your own hand writing in a careful way. This application form is a kind of legal document and you should not put any wrong information in it. To pass in this Muet Jamshoro ECAT entry test, you should get more than 50% marks. If you will score less than 50%, then your final admission will not be made in this Mehran university. All the best for this one Muet Jamshoro ECAT entry test 2018 and stay in touch. To receive more latest news for this engineering ECAT test, stay over here on this online source and get complete information.